At Capital Mulch Company, delivery Is included with your qualifying mulch or soil purchase - No hidden fees! All mulch prices* INCLUDE DELIVERY within our local Raleigh, NC delivery area! Capital Mulch Company has three delivery zones. You can use the map below to calculate how far away your delivery will be from our location in Raleigh, NC. Or, you can also just give us a call, and we'll be glad to let you know what your delivery zone is. Note: Capital Mulch Company is not responsible for damage to driveways, yards or parking lots. Significant off-road travel ris restricted at delivery. *A minimum order of 10 yards of mulch or 6 yards of topsoil is required for free delivery. Delivery charges for other products may still apply. 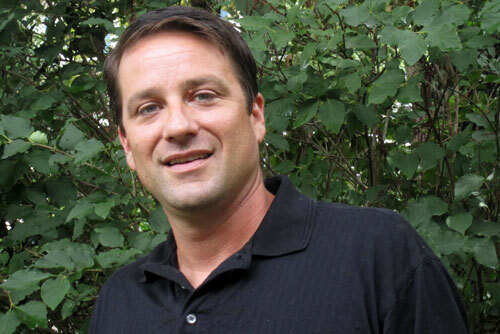 Capital Mulch Company is not responsible for damage to driveways, yards or parking lots. Significant off-road travel is restricted at delivery. Note: Capital Mulch Company strives to offer the lowest prices based on prevailing market conditions, and will work to give our customers even lower rates in the future. • Minimum order 10 yards of mulch or 6 yards of topsoil = FREE DELIVERY! If you need your delivery offroad, please let us know when placing your order. Truck wrecker charges will be the responsibility of the homeowner if they request off-road delivery and the truck gets stuck. Decide and notify Capital Mulch Company where to put your material pile before delivery day. Check the weather - if rain is predicted, you might want to have a tarp available to cover your material. Dyed mulches need to be delivered onto a tarp to prevent driveway stains. Plan ahead! Order your mulch during dry weather for during and after installation. If possible, keep mulch pile covered during rainstorms. Avoid placing your mulch pile in runoff areas, such as near gutter downspouts. Water runoff from the pile can stain driveways. Must have a 24-hour period of dry weather following spreading to ensure color fastness. 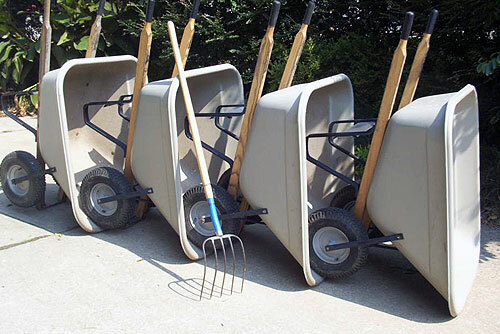 Wheelbarrow installation* of all our mulches and soils is available from our competent subcontractors. Just show us where you want it, and they will deliver it straight to your garden beds - all you have to do is enjoy the results! All installations are performed by competent professional subcontractors who bill you seperately for their labor. 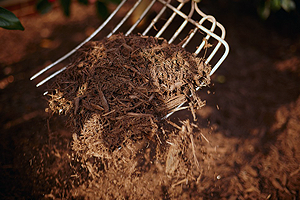 *Minimum order of 10 yards of mulch or 6 yards of topsoil is required to qualify for installation services. Clean up leaves, sticks and debris from your installation area. Remove weeds by hand or spray with Roundup. Prune bushes and trees. Pick a site for your mulch delivery. Off road driving is risky for you and the truck. Edge along beds and paved areas. Use a square shovel (i.e. 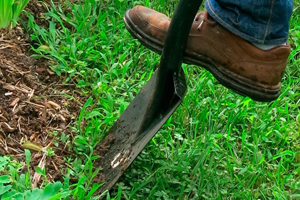 a square transfer shovel) and insert the blade vertically along the edge between the garden bed and the grass to form a crisp line between the two. Form a narrow trench 3-4 inches wide and 2 inches deep. For larger beds, use a mini-tiller along the edge of the bed. A leaf blower can be used to blow the dirt back into the bed--more than one pass may be necessary. 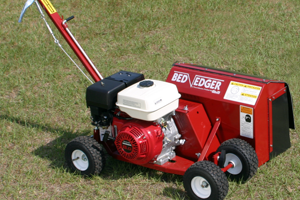 Very large projects may require the use of a bed edger (available from most rental stores). Along paved areas such as driveways, curbs and sidewalks, dig a trench 4 inches wide and 2 inches deeper than the bottom edge of the concrete. This allows the mulch to rest against the side of the pavement rather than spilling onto the paved area, giving you a nice clean edge. 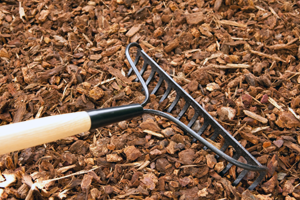 Use a pitchfork instead of a shovel to make moving the mulch easier. A large wheelbarrow will carry more material per trip, speeding installation. Dump the mulch in small piles in your work area. A steel tine rake is handy for spreading the mulch, but you can also use your feet to kick or spread the mulch into place. Mulch should be spread to a depth of 2-4 inches. Keep mulch a couple of inches away from tree trunks and plant stems. This will help keep the plants healthy and free from disease and insects. At the end of the installation, use a leaf blower to blow any dirt or mulch back into the beds, smooth out the top of the mulch and clean and smooth your edges. Stay in touch with Capital Mulch Company by liking, following, commenting or subscribing to our social media pages and platforms shown above. Providing quality mulch, topsoil, gravel, sand, & stone to the greater Raleigh and Wake Forest, NC areas since 2008.